created by advanced technologies; the surface of the textile is bonded to a foil of resilient polyurethane foam. This bonding is performed under heat, or by other means where the surface of the polyurethane foil melts, forming a very sticky melt which impresses itself against the whole surface of the back of the t., investing it with qualities of resilience, voluminosity, permeability and improved insulation. The face material may be a fabric (woven or non-woven) or knit. 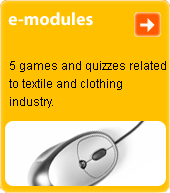 It is used in a wide range of clothing types.